A big lens for the Micro Four Thirds system, the Leica DG Elmarit 200mm f/2.8 POWER O.I.S. Lens from Panasonic is a 400mm-equivalent super telephoto prime, developed in partnership with Leica, that promises sharp imagery and excellent handling. A big lens for the Micro Four Thirds system, the Leica DG Elmarit 200mm f/2.8 POWER O.I.S. 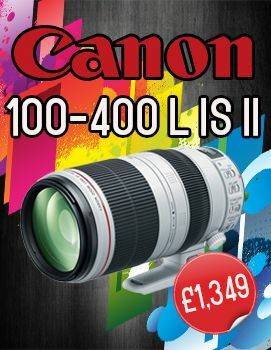 Lens from Panasonic is a 400mm-equivalent super telephoto prime, developed in partnership with Leica, that promises sharp imagery and excellent handling. With a fast f/2.8 maximum aperture users can work in low-light conditions and create images with a shallow depth of field. Ensuring optimal image quality, the design incorporates two Ultra Extra-Low Dispersion (UED) elements that combat aberrations while a Nano Surface Coating is applied to minimize flare. Optimized for the capture of distant and fast-moving subject matter, this lens is equipped with a quiet triple linear motor autofocus system that has a 240 fps sensor drive for exceptionally fast performance in both stills and video. Also, a POWER Optical Image Stabilizer will compensate for camera shake and works with Panasonic's Dual I.S. and Dual I.S. 2.0 in-camera stabilization functions. Along with this, quick access lens controls, including a focus limiter, focus button, and focus memory switch, are available for tactile control over numerous settings. With a 400mm equivalent focal length on Micro Four Thirds cameras, this telephoto prime is well suited to working with distant subject matter. The lens comes supplied with a 1.4x teleconverter, providing users with a 560mm-equivalent focal length at a cost of 1 stop of light. For even more reach, an optional 2x teleconverter is available for an 800mm-equivalent focal length.